Nestled between the glitzy UAE, the desert covered Saudi Arabia, the culturally rich Yemen and the Arabian Sea is Oman, a unique jewel in the middle-east. Known for its soaring mountains, silky sand dunes and hot climate, Oman is also a new-comer to tourism, having opened up its borders in the 1980s. 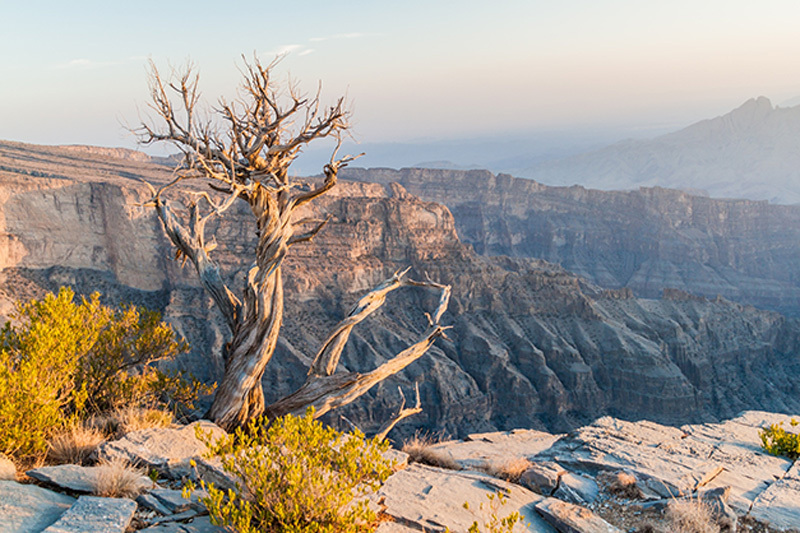 One of the key attractions of Oman is Wadi Ghul or the “Grand Canyon of Arabia’, a spectacular 1,000m deep gorge located near the highest peak in the country. For an active, one-of-a-kind experience, the incredible balcony walk leads to the old, abandoned village of Al Sab with stunning views over the mountains along the way. 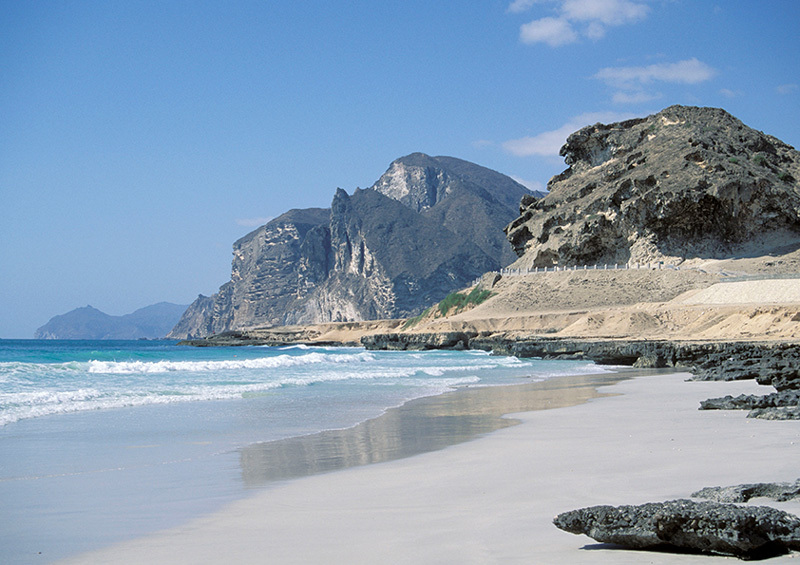 For the beach lovers, Oman is home to glorious, unspoilt white sand beaches near to its capital of Muscat, or more rugged coastlines further out in Zighy Bay or Sur. The diversity of beaches means there is something for everyone, whether you are looking for a beach that is family friendly, relaxing, adventurous or you just want to sip on a delicious cocktail by the ocean. As part of our Family Thrills itinerary we offer you the chance to witness turtle nesting at Ras Al Jinz just outside of Muscat, a fascinating family-friendly experience. Adventure begins in the sand dunes of the Wahiba Sands desert, where you can enjoy jeep safaris, camel rides, quad biking, dune bashing and even stopping by to visit a Bedouin family for tea to immerse yourself in their unique desert culture. Considering that desert accounts for 82% of Oman’s land mass, this is a must try experience when visiting the surreal Oman. Enjoy the diverse cuisine of Oman, which has been influenced and shaped by many different cultures over time. Our Ultimate Oman Itinerary includes a day in Muttrah, just outside of Muscat, where there is an incredible selection of fresh seafood at the Old Fish Market. From here you can carry on to the Souk for an authentic Arabian experience, navigating the labyrinth alleys bursting with colourful shops, copper dishes, gold peddlers and even an alleyway of sandals. A trip to Oman is not complete without trying shuwa, considered to be the national dish, which consists of 24-hour smoked meat which is cooked in an underground pit slathered with spices and wrapped in banana leaf. Eating shuwa is an experience shared by the community, one of our top restaurant recommendations to try some yourself is the Kargeen Caffe in Muscat. Oman is also famous for its mouth-watering dates, which are an everyday component of Omani living, expect to see them everywhere. Whether you prefer hiking, sunbathing or exploring historical landmarks, Powder Byrne can cater to everyone with our bespoke-for-you itineraries. Make an online enquiry or contact your Powder Byrne Travel Consultant on 020 8246 5300 to find out more information.